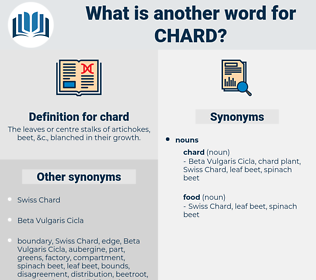 What is another word for chard? The leaves or centre stalks of artichokes, beet, & c., blanched in their growth. 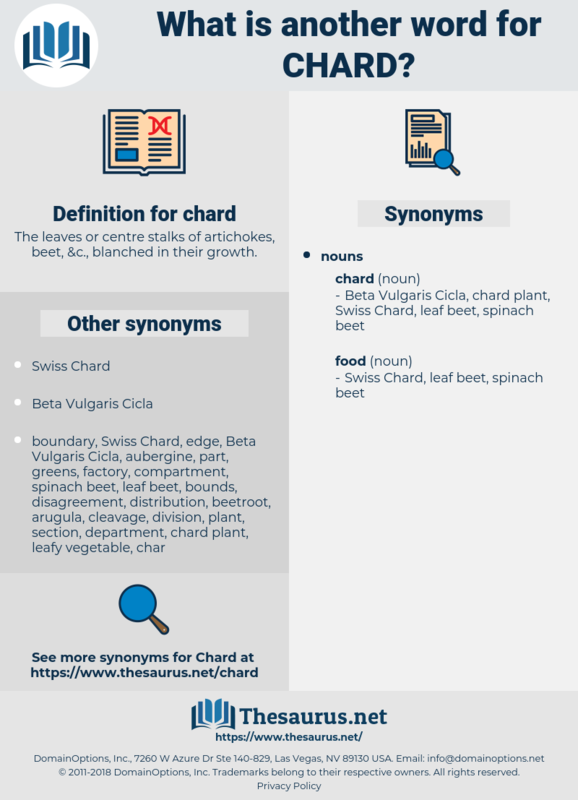 chard, Swiss Chard, chard plant, Beta Vulgaris Cicla, spinach beet, leaf beet. common beet, beet, beta vulgaris. leaf beet, chard, Swiss Chard, spinach beet.